Não importa se você vem para lazer ou negócios, venha e fique em um local privilegiado com fácil acesso a todos os lugares. Eu e a equipe estamos ansiosos para recebê-lo em nosso hotel bonito e moderno. Vamos criar memórias inesquecíveis juntos. Mercure Bali Legian is strategically located in the Legian area at the intersection of popular tourist destinations. 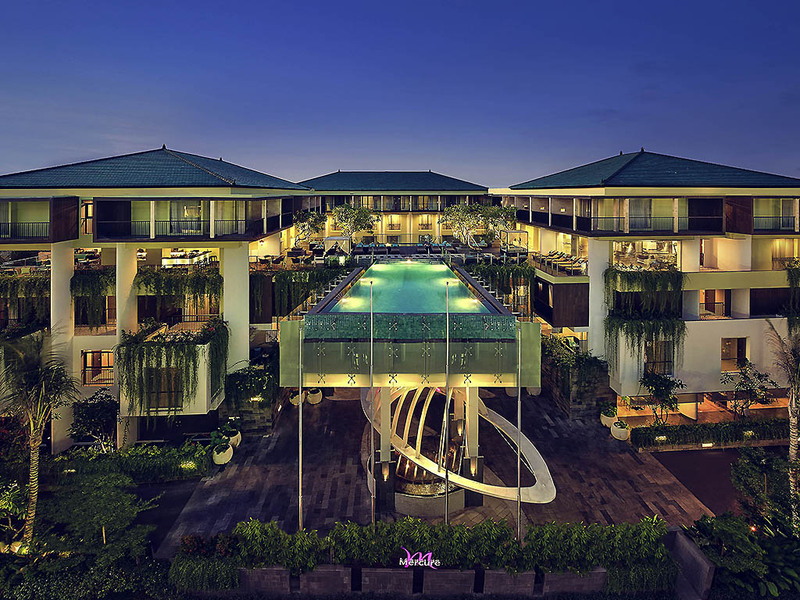 It is close to the surrounding places of interest such as Legian beach, Seminyak and Kuta area.The brand new Mercure Bali Legian is the perfect hotel for business or leisure travel and is ideal for anyone from families, to honeymooners, to corporate clients. Part of the MyResorts program featuring exclusive experiences for Le Club AccorHotels members. Located at Lobby level. Leading to the outdoor pool & famous Bali street shopping experience. Our chef proudly provides all-day dining. Chill out with a cold beer & lounge by the pool. The Lounge Bar is located near the lobby. Choose from our extensive selection of drinks and light snacks, as you enjoy the view of the garden at our lobby. Ideally located in a serene environment. Perfect for private functions, both internal and external groups are welcome. Our FB team & diverse Chef can tailor a function to your budget & taste.